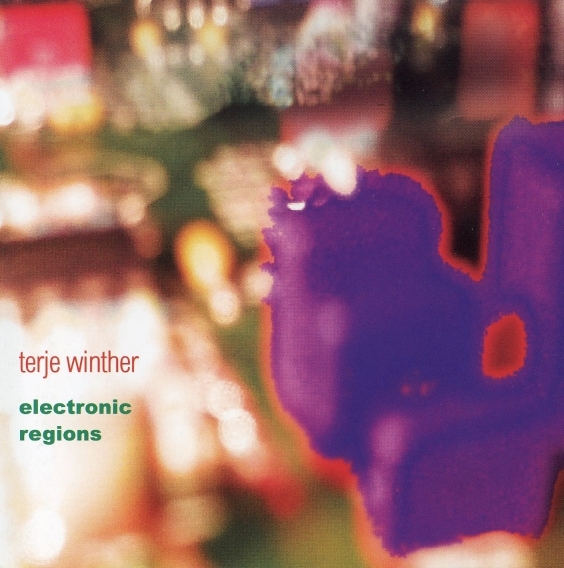 Electronic Regions is the second solo release from Norwegian synthesist Terje Winther. This is a mammoth electronic undertaking powered by Terje's arsenal of analog synths, step sequencers, custom built modular synth, keyboards, and other electronics. Disc one is the five part "Entering Regions Suite" based around the phrase "Time and again I feel life repeating (itself) over and over (again)." This suite is a broad range of sounds and emotions from stark analog sine waves reminiscent of early Tangerine Dream to the sustained organ chords and Mellotronic vocals of Klaus Schulze. Though Terje uses sequencers, he does not use them to propel the music until 40 minutes into the suite where instead of the pentatonic sequences favored by Tangerine Dream, it is more an amalgamation of Tangerine Dream, Klaus Schulze, and Jean Michel Jarre. The music slowly evolves over the course of the suite, never becoming stale, building to a grand sequencer-driven climax. Though it will take a dedicated listener to carve out the 60 minutes needed to experience the first disc, it is well worth the effort. The second disc, like many Klaus Schulze releases, stresses the limit to 79 minutes. One track, "Where the Water Leaves the Road," is a whopping 52 minutes! Disc two opens with the four minute "Electronic Rendezous," a combination of Yellow Magic Orchestra and Kraftwerk. The remainder of this disc is sheer Schulze analog heaven. Highly recommended for lovers of the Berlin school before T Dream went Hollywood or Schulze shifted to digital.